Members of the International College of Chiropractic Neurology enjoy exclusive, members-only articles and discussion. Welcome to the International College of Chiropractic Neurology! The International College of Chiropractic Neurology (ICCN) is an international professional association of chiropractic neurologists, neuroscientists and chiropractic physicians interested in the practice of clinical neurology. It also serves chiropractic students interested in advanced training in clinical neurology. The International College of Chiropractic Neurology is dedicated to promoting the highest quality patient-centered neurological care, enhancing the career satisfaction of its members, and spreading the word about high quality neurological care to the public. We advocate for our members as they seek to serve a hurting public by encouraging proper laws and rules regarding the role of the chiropractic neurologist in patient centered care. The International College of Chiropractic Neurology, seeks for ways to advance public policy regarding the treatment of the neurology patient, advocating for the proper place of conservative treatment when best practices dictate. 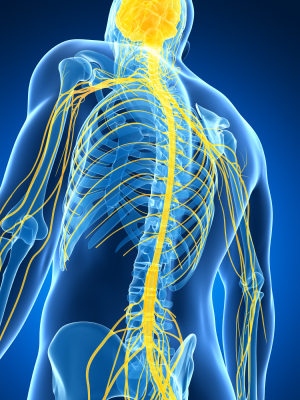 International College of Chiropractic Neurology assists in the development of best practices for the treatment of patients with neurological conditions and advocates for the implementation of those practices throughout the chiropractic profession. The vision of the International College of Chiropractic Neurology is to be indispensable to its members by providing guidance and inspiration through education, information, policy development, and advocacy for our members and their patients, while maintaining the highest ethical and professional standards. You are invited to become a member of the ICCN today. Whether you are a chiropractic neurologist, chiropractor, student or just a person interested in chiropractic and neurology, you are welcome here. Check the membership page for details. Thanks for taking time at our site.